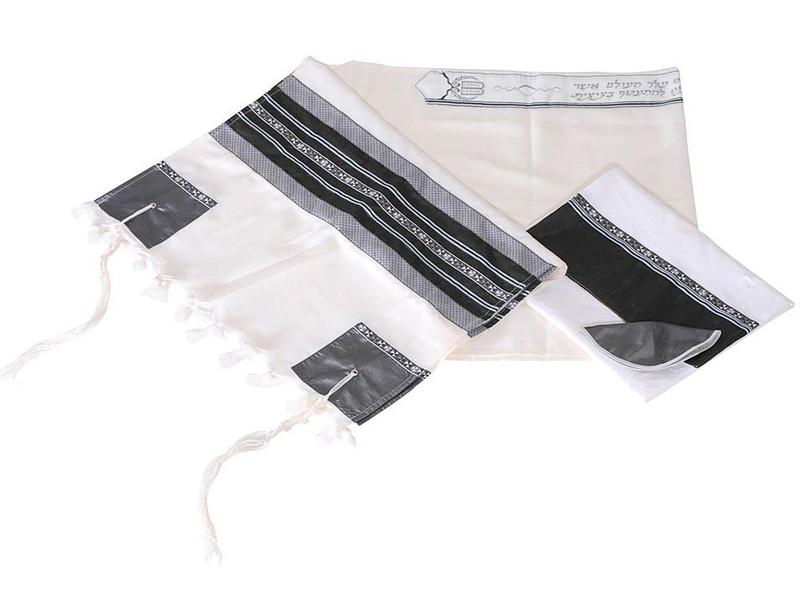 This is an elegant hand made tallit set whose original aspect is provided by the sobriety of it colors and by its design elements. 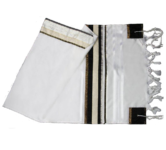 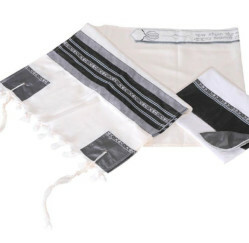 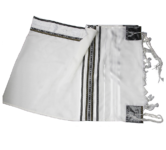 Bearing the name of an important figure of this oldest monotheist religion, this tallit set, containing a prayer shawl, a matching bag and a grey kippa, has been designed and manufactured inIsrael. 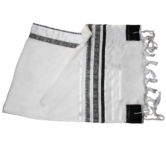 The woolen fabric is adorned with hand made white decorations, which stand out in the heart of a series of black and white stripes bordered by a grey edge. 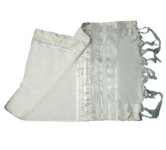 The grey corner squares bear the same style of design elements on the upper edge and so does the black stripe of the bag.